Petfinder is excited to be partnering with Dog Chow for the release of their Puppyhood program – your one stop shop to help raise your puppy right from the first bite. 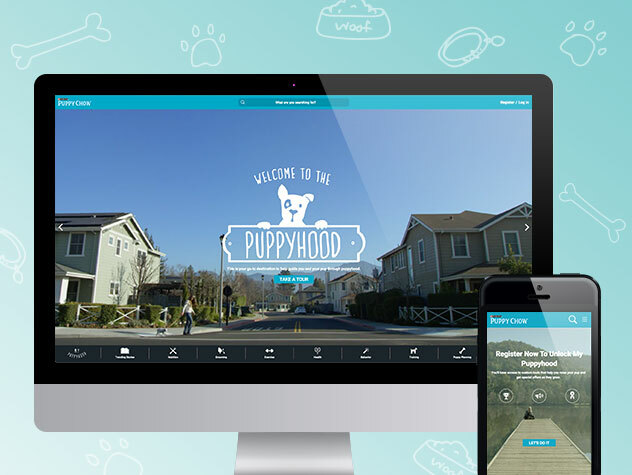 With a wide range of educational content as well as interactive tools, Puppyhood is the go-to destination to help guide you and your pup through puppyhood. Whether you’re looking for information about teething or potty training, finding the perfect vet or teaching your pup some basic commands, Puppyhood provides tips and tricks in the form of articles and videos. With special sections dedicated to “Nutrition”, “Grooming”, “Exercise”, “Health”, “Behavior”, “Training”, and “Puppy Planning”, the Puppyhood has tips and tricks for everything your puppy goes through in the first few years. Joining the Puppyhood not only grants access to some great special offers, but you’ll also be able to take advantage of exclusive online tools that will help your puppy grow up happy and healthy. 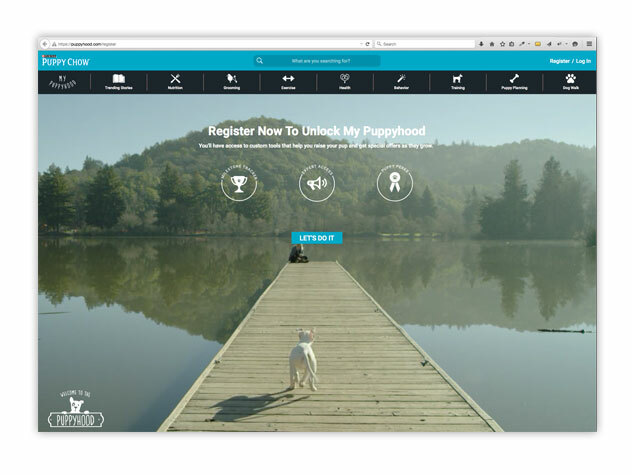 You’ll be able to sign up for video hangouts with a panel of experts, use the “Near You” tool to find puppy destinations around your location, and track every stage of your puppy’s development using our Milestone Tracker. Part of the Puppyhood program is a great feature called The Dog Walk. The Dog Walk helps people learn more about puppies through a 360°, interactive puppy world that offers up articles and videos about puppy topics along the way. 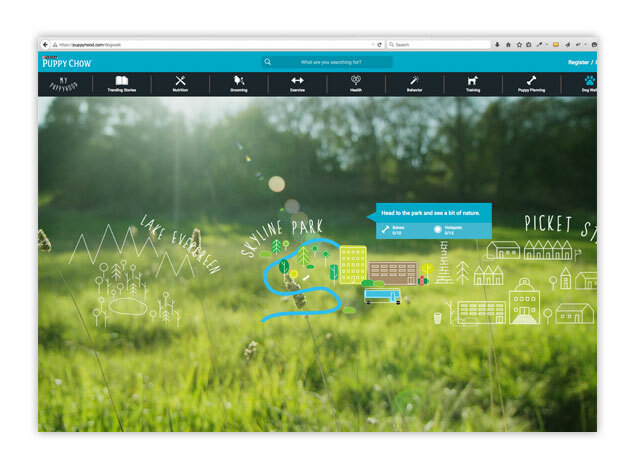 It makes learning about your new puppy fun and engaging as you explore! One of the truly unique aspects of the Puppyhood program is that it caters to those still considering pet adoption – which we of course love here at Petfinder! The Puppy Planning section has everything you need to know before getting a furry friend to ensure you’re ready for your new responsibility. 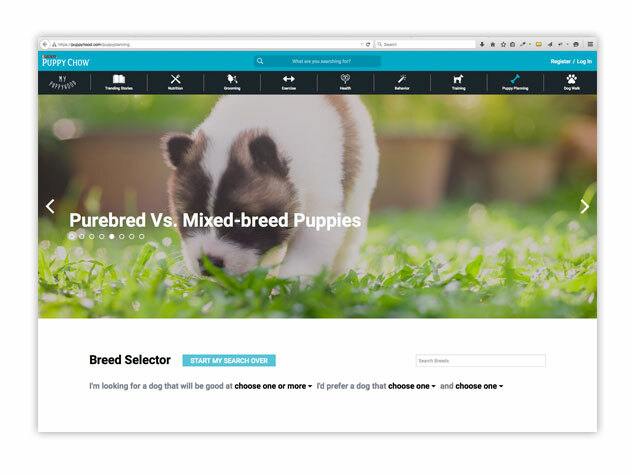 The breed selector even helps you pick just the right puppy to fit your lifestyle. Petfinder is thrilled to be a part of this great tool that provides such important information to both current and future pet owners. 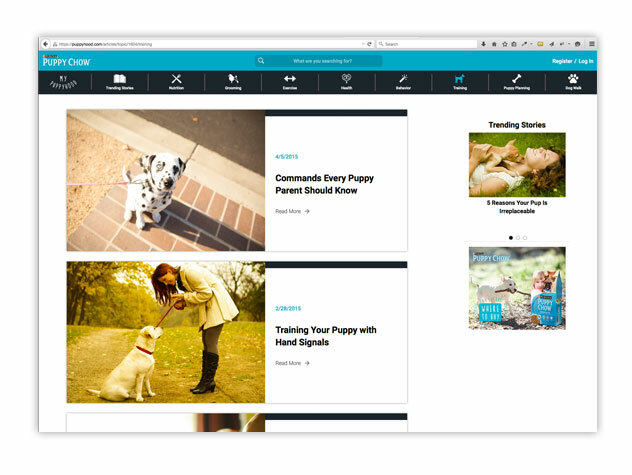 Join the Puppyhood today and get customized learning, helpful tools, and exclusive benefits and coupons on your puppy’s journey to doghood.